I had everything figured out when I walked into that Cracker Barrel. I was going to sit down with Tennessee’s next head coach and his father. The Vols were a preseason favorite to win the SEC and more in 2005. What could go wrong? 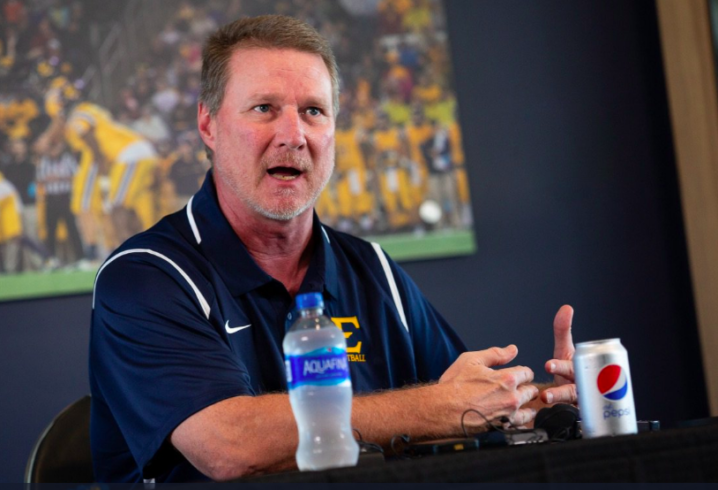 It seemed a natural, logical turn of events that Randy Sanders, who is now the head coach at ETSU, would replace Phillip Fulmer, who was UT’s head coach at the time and is now the Vols athletic director. UT had long coveted their own. Fulmer. Johnny Majors. Even Doug Dickey. They all got the benefit of the doubt when it came to hiring coaches and administrators. So why wouldn’t Sanders follow in the precession? Defensive coordinator John Chavis had more experience than Sanders, but Chavis’ disdain for the media and community events didn’t make him the perfect choice to succeed Fulmer. Sanders was the perfect fit. Or so I thought? Sanders was anointed as Tennessee’s offensive coordinator following the 1998 regular season. Sanders was the man who replaced David Cutcliffe after he headed to Duke as the Blue Devils head coach. The timing was far from perfect. The Vols were headed to the Fiesta Bowl in hopes of winning their first national championship in 47 years. However, the Vols survived without Cutcliffe. Sanders made sure of that. Sanders worked tirelessly as he instituted his first game plan. He deftly handled play calling in the Fiesta Bowl, which was the first time he had ever called plays in an entire game. His most memorable moment was when he called a deep pass from Tee Martin to Peerless Price. Instead of choosing a shorter pass that could easily have picked up a first down, Sanders went for it all. It worked. The Vols led 20-9 after Price’s 79-yard touchdown reception. With the ability to run the ball, a strong defense and solid special teams, that would be all the Vols would need. Sanders’ debut ended in a national title and he was named UT’s permanent offensive coordinator after the season. Sanders took to the role nicely. The Vols won the SEC East twice. Sanders offense was loaded with starters like quarterback Casey Clausen, running backs Travis Stephens and Arian Foster, receivers like Donte Stallworth and a host of others. It seemed as if Sanders, who was always a fantastic recruiter even after he became coordinator, would be the easy selection to slide into Fulmer’s head coaching position as long as things kept moving along swimmingly. That didn’t happen. 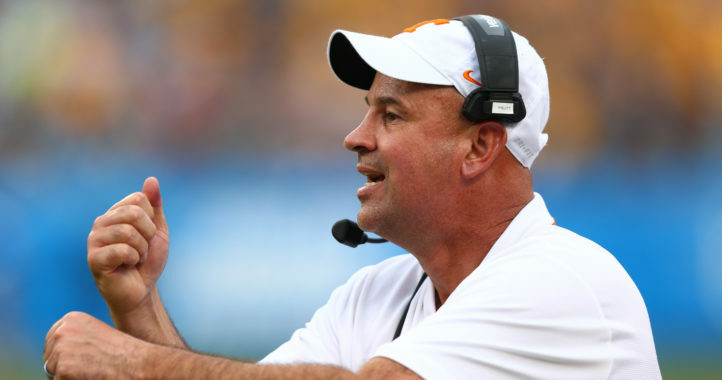 Tennessee’s 2005 team stumbled to a historically bad season. The Vols finished 5-6 and 3-5 in the SEC. That record included UT’s first loss to Vanderbilt since 1982. That wasn’t even the worst of it. Sanders broke down with his family following the South Carolina game in 2005 in front a group of assembled media. Tennessee fans were itching for a change and, after his emotional outburst, it seemed Sanders might be more than willing for that as well. There was one other aspect that was brewing in Knoxville that made Sanders’ escape much more easy than it would have been otherwise. In between coaching jobs, Cutcliffe was recovering from heart surgery, healthier than he had been in years and was ready to return to coaching. If his former fishing buddy, Sanders, decided to pursue another path, Cutcliffe was the natural fit — just as Sanders had been before that Fiesta Bowl nearly a decade before. I spoke to Cutcliffe often during that time as Sanders struggled with the coaching position he had fought so hard for. Cutcliffe and I hosted a sports talk show every Friday — so I had to ask if an inevitable change was on the horizon. Cutcliffe wouldn’t bite. Cutcliffe maintained all along that he only cared about Sanders’ well-being. I wouldn’t have trusted many coaches had they told me that with a possible coaching vacancy at stake. However, I trusted Cutcliffe. I also believed that Sanders would probably be better off as a position coach in which he wouldn’t be a household name. Being a coordinator for Tennessee football is one of the most recognizable positions one can have in the state. I didn’t sense Sanders was very comfortable with that pressure. Sanders also had frequent battles when it came to personnel. Defensive coordinator John Chavis always fought to get UT’s best players on defense. When he battled Cutcliffe for personnel, the wins and losses tended to even themselves out. I didn’t get the feeling Sanders won his fair share of battles. I’ll never forget how quickly things changed with Rashad Baker, who played at Tennessee from 2000 to 2003. Fulmer came out in preseason camp and called Baker one of the most polished receivers he had ever seen. That was strong praise for Fulmer, especially for a freshman. The next day, Baker was moved to safety. 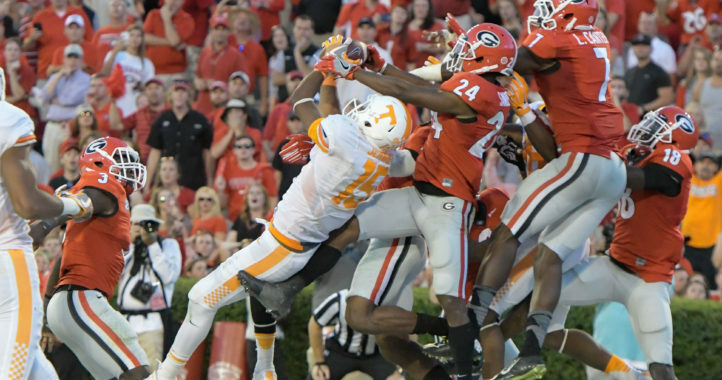 He had never played the position in college and the Vols needed help in the secondary. That move was made swiftly and permanently. I feel quite certain that Chavis had a major role in that personnel change. The 2001 SEC Championship Game could have bought Sanders more time. He had fielded a fantastic offense and helped the Vols to Atlanta, where they played LSU. That didn’t end well. Sanders’ offense moved the ball but couldn’t hold onto it. Key fumbles and a defense that looked lost in the second half robbed the Vols of an SEC title and the chance to play for a national title in the Rose Bowl. It’s easy to imagine what might have been for Sanders if thing had gone differently that night in the Georgia Dome. Sanders would be gone from the only college football program he had ever known just four years later. That’s certainly not how I had envisioned Sanders’ career unfolding at UT when he and his father sat down for breakfast. The notion that he would leave Tennessee disgraced, disgruntled and disenchanted was about as likely as me passing on extra hash browns. However, things have worked out well for Sanders. He won another national title as an assistant at Florida State following the 2013 season. Then he finally became a head coach, which was a lifelong goal. ETSU came calling and Sanders accepted the position following last season. It was a chance to move close to home and prove to himself that he could lead a program. Sanders declined my request for an interview as he prepares his ETSU team to take on the Vols in Neyland Stadium on Saturday. I can’t blame him. The emotions must be overwhelming. They’ll be worse on Saturday. Sanders is one of the participants in Tennessee’s rise to national prominence that can easily be forgotten. He shouldn’t be. Sanders had said he’ll walk back to ETSU’s campus naked if the Buccaneers can upset the Vols this weekend. I’d certainly prefer not to see that, but if some drivers headed to Johnson City catch a glimpse of more than they were planning on, I wouldn’t mind that at all. Cover photo courtesy of East Tennessee State Athletics, via Twitter. Man he has aged. I always wondered what happened to him. Haven’t we all LOL better than the alternative.